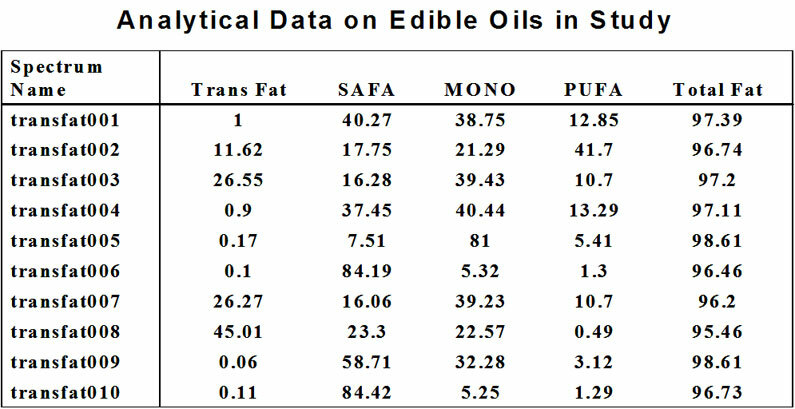 A series of Trans Fat standards was purchased from AOCS. 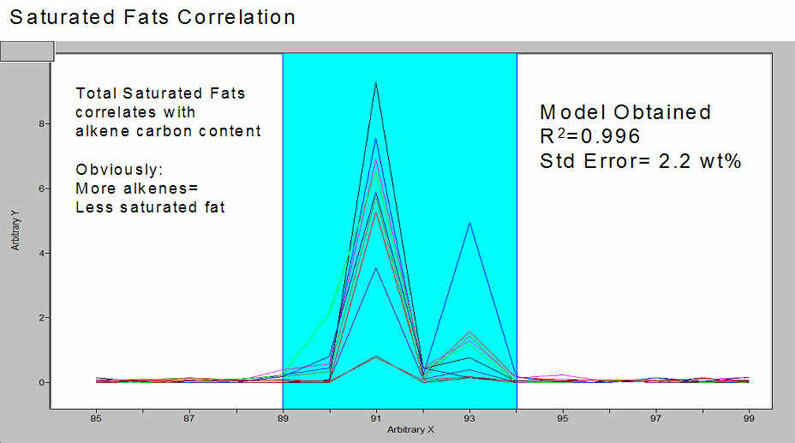 The ability of 1H and 13C NMR to predict Trans Fat Content as well as Saturated, Poly-unsatured, and Mono-unsaturated Fat Content. 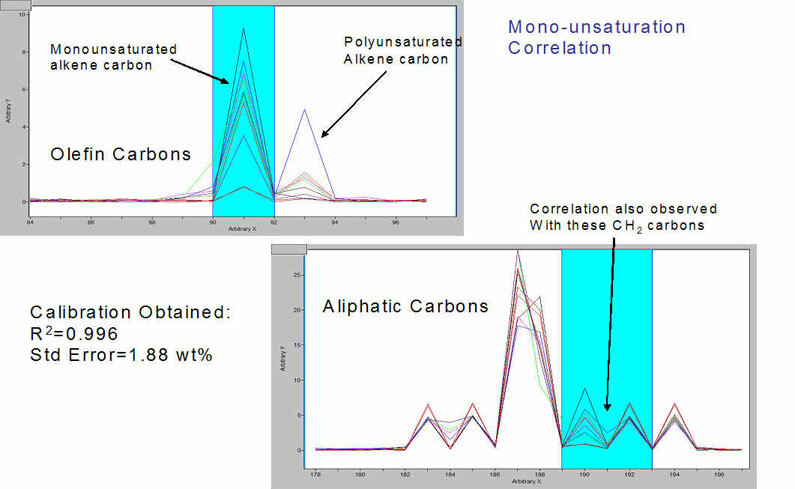 PLS regression techniques were used to correlate 1H and 13C NMR spectral variations to the unsaturation level and type of unsaturation of the samples. 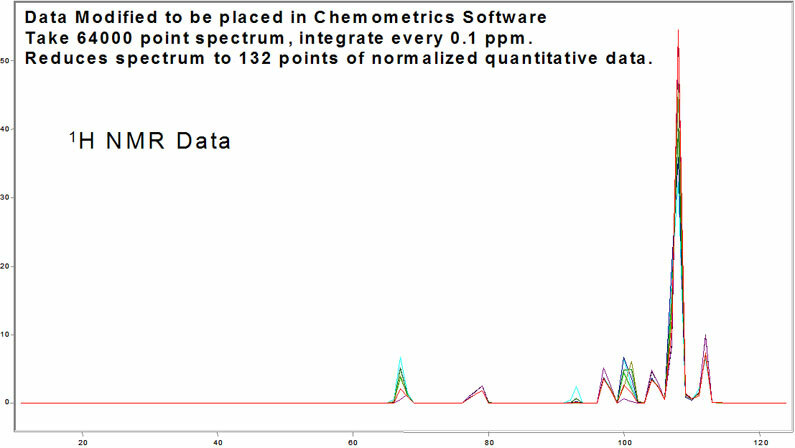 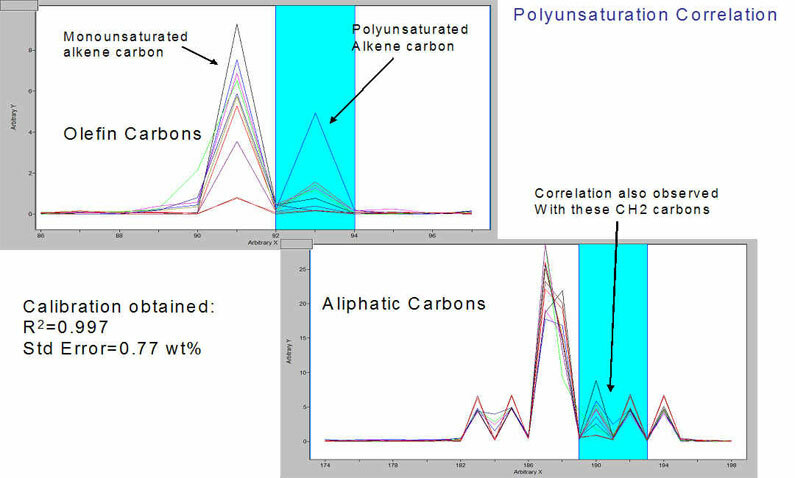 The following correlations were obtained from the 13C NMR data.